If your belly is sapping your body confidence, don't despair. 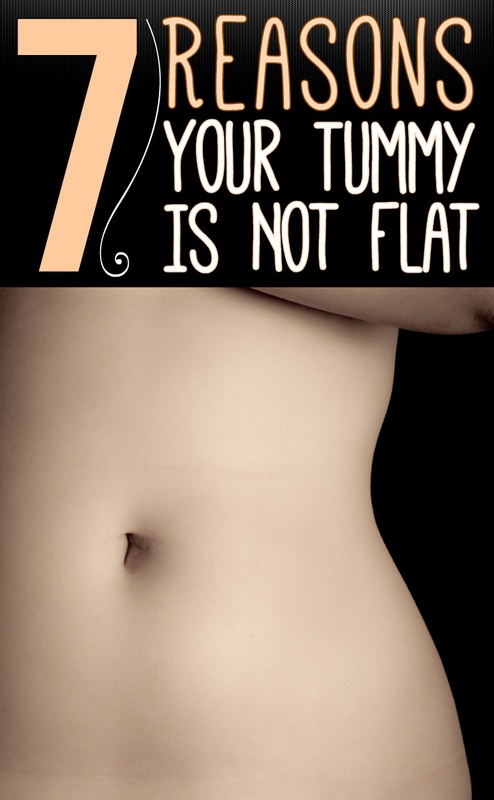 The reason for your puffy midsection may well be bloat, not fat. That's because one of the worst wrongdoers for this problem—a slow digestive system—is common among adult women. However, exciting research now suggests you can get your digestion moving and beat bloat with a few easy menu and lifestyle tweaks. Put all of these ideas into effect right now, and you should be flatter, sexier, and fitting comfortably into your clothes in less than a week. Once air from any source reaches your digestive system, you experience it as gas and a distended belly. Eating or drinking quickly, sipping through a straw, sucking on hard candy, and chewing gum can make you swallow air. When eating, chew slowly with your mouth closed. Trade carbonated drinks for flat ones, such as juice or water, and lose the gum and candies. Drinking enough liquid supports the other ways you're trying to flatten your tummy. For example, when there's enough fluid present in your system, the dual-fiber cereal you have eaten is better able to pull liquid into your lower intestine and ease constipation. "Women who don't drink sufficient fluids can get that blown-up belly feeling, despite all their other efforts to get rid of it"
How much fluid do you need? Getting rid of bloat means being well hydrated, so aim for at least 8 glasses of liquid each day, plus plenty of fluid-rich foods, such as fruits and vegetables. Tap water is an excellent option because it has no calories, salt, sugar, or additives. And it's free! We don't completely digest these low-calorie sweeteners (found in flavored waters and low-carb, diabetic, and sugar-free foods). Bacteria in the large intestine ferment them, causing gas and even diarrhea. Check food labels to help avoid them; common ones are sorbitol, mannitol, xylitol, and lacitol. Foods such as bananas and potatoes help your body get rid of excess water weight, minimizing your middle. The extra fluid is typically present because the two main minerals that control the amount of water in your body—potassium and sodium—have gotten out of balance. When your sodium level is too high, your tissues hold on to fluid. You can restore your sodium-potassium equilibrium by increasing your potassium intake to an optimum 4,700 mg per day. To do this, you need to eat about 4½ cups of produce daily, including the especially rich sources that are mentioned below. As you rebalance your system, you'll flush out the extra sodium along with the water. Ergo, less puffiness. Watch out, though. Food is a safe source of potassium, but supplements are not. They can cause potassium to build up in your body and potentially lead to abnormal heart rhythms and even heart attack, especially in people with kidney or heart problems. Constipation distends your belly, and one easy way to get rid of it is by starting each morning with a breakfast cereal that guarantees your body a daily dose of fiber. This gets the digestive system moving within a day or so and keeps it that way. Based on a study of breakfast cereals. In an experience, scientists found that participants had an easier time staying regular with a cereal that contained both insoluble fiber (from bran) and gel-like soluble fiber (from psyllium). The two types work together to pull water into your colon and speed up elimination. The result? You look and feel lighter. Fix: Eat ⅓ cup Kellogg's All-Bran Bran Buds each day. Sodium makes you retain water, puffing up your belly. Most of us eat more than twice as much sodium as we should—topping 3,400 mg a day, rather than the recommended 1,500. Solution: Stop salting your food at the table, and check for sodium on the labels of packaged foods, which provide about three-quarters of the daily intake for most women. Fresh fruits and vegetables are healthy, but they're also high-volume foods that take up room in your stomach, distending it. Spread fresh produce consumption over the day, so at any sitting you're not eating more than one-third of the recommended daily total of 4½ cups. You can also shrink produce by cooking it, creating a more compact serving.